Baby's Journey Home: RMH Update! 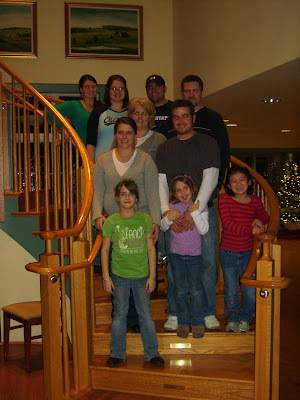 I am finally getting around to updating about our recent trip to the RMH. 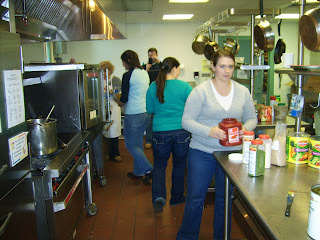 January 2, 2010 we traveled to the RMH in Delaware, to prepare a meal for about 30 families, that were staying at the house. 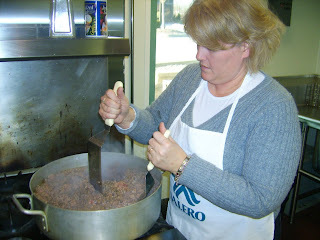 I have prepared meals for large groups before, but to be honest 70 or more guests just sounded a bit overwhelming. Dustin & I decided to recruit some help for the evening. 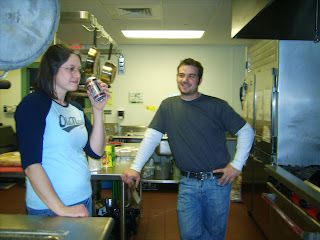 Once we were there cooking, we were definitely glad we did! THANK YOU to our helpers...you all are amazing! We prepared 7 "baked spaghetti" caseroles with garlic bread, green beans, fruit salad, and cookies. 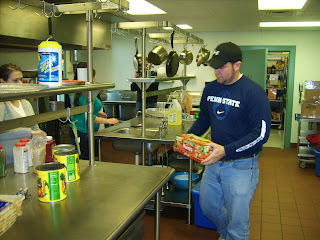 We also took another box of items (food and house supplies) that were donated by our friends and family. 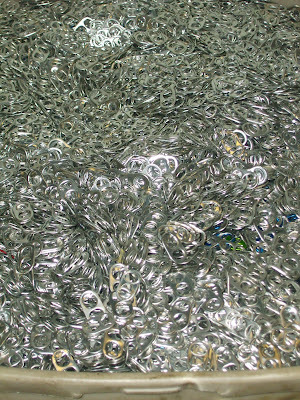 10 tubs FULL (and over-flowing) of soda can tabs! Ever since we stayed at the RMH the first time, we have been saving our soda tabs. It doesn't seem like much, but the tabs obviously add up! Click HERE to learn more about the RMH soda tab donations! I can't begin to describe how much of a blessing it was to be able to prepare food and share our time with the families at the RMH. Thanks so much to everyone who helped make this experience possible!! Awesome opportunity!! I'm glad you had some help! It looks a bit overwhelming. Next time you can give us a call. :) When we all work together. . . . Such fun! Thanks for allowing us to be part of your "mission".